TEXT them to 45911 for your chance to win $1,000. Or on our FREE MOBILE APP for your chance to win $1,000 and a shot at the Grand Prize $10,000! This is a Beasley Media Group multi-city contest. as listed below. The Promotion, known as “The $5K Artist of the Day” on the Stations, will begin on Monday, April 1, 2019, and will run through Monday, April 29, 2019, weekdays (excluding Friday, April 19, 2019) between the hours of 5am Pacific Time (“PT”) /8am Eastern Time (“ET”) and 3:15pm PT / 6:15pm ET (“Promotion Period”). majority in their state of residence, whichever is older as of date of entry (“Contestant”). members of Beasley Media Group, Upland IX, LLC, JacApps, Jacobs Media, and Promotion sponsors (if any), and their respective parent companies, subsidiaries, distributors, affiliates, service providers, advertising and promotion agencies and companies involved in the design, implementation and execution of the Promotion (collectively the “Promotion Entities”), other radio stations in the metropolitan areas of the participating stations and members of their immediate families (parents, children, siblings, spouses) or persons living in the same households as such persons, whether related or not, are not eligible to participate or win. This Promotion is governed by Florida law and is subject to all federal, state and local laws and regulations. Promotion is void in Puerto Rico, and US Territories and jurisdictions (including overseas military installations) and where prohibited. Contestants are required to provide truthful information and Beasley Media will reject and delete any entry that it discovers to be false or fraudulent. Beasley Media will disqualify any entry from individuals who do not meet the eligibility requirements and will also delete any entry as required by law. the prize is contingent upon fulfilling all requirements set forth herein. participating Station each weekday during the Promotion Period at 8am, 11am, 1pm, 4pm, 6pm ET or 5am, 8am, 10am, 1pm, 3pm PT, when at each time a Cue will be announced. The Cue will include a unique Key Word. Upon hearing the Cue, enter by entering the Key Word on a Station’s mobile app, entering onli ne at a St ati on’ s websit e or by texting the Key Word to 45911 no later than fifteen (15) minutes after the start of the hour during which the Cue is announced to be entered for a chance to win a $1,000 cash prize. Only those who enter via the mobile app or the website are qualified to win the $10,000 cash grand prize. b. On each weekday throughout the Promotion (except April 19, 2019), five (5) potential nationwide prize winners will be randomly selected – (i) one (1) between the hours of 5:00 a.m. PT / 8:00 a.m. ET and 5:15 a.m. PT / 8:15 a.m. ET. (ii) one (1) between the hours of 8:00 a.m. PT / 11:00 a.m. ET and 8:15 a.m. PT / 11:15 a.m. ET. (iii) one (1) between the hours of 10:00 a.m. PT / 1:00 p.m. ET and 10:15 a.m. PT / 1:15 p.m. ET. (iv) one (1) between the hours of 1:00 p.m. PT / 4:00 p.m. ET and 1:15 p.m. PT / 4:15 p.m. ET. (v) one (1) between the hours of 3 p.m. PT / 6:00 p.m. ET and 3:15 p.m. PT / 6:15 p.m. ET. A total of one hundred one (101) Prizes will be awarded in the Promotion. Stations may also announce exact times that future Cues will be played. Station listeners will be entering along with listeners from other stations around the country who will also receive the Key Word announcements at similar times and will be entering before the same Entry Period deadline for each Cue. method of entry. The randomly selected Contestant must be available at the time of Beasley Media’s call to be eligible to win the prize. Once reached by phone, the randomly selected Contestant will be deemed the potential $1,000 cash prize winner (upon confirmation of eligibility). At the time of the call, the potential prize winner will be required to provide all information requested to verify eligibility. Information requested includes their full name, complete address (including zip code), day and evening phone numbers and date of birth. $1,000 prize is awarded in that hour (time permitting). By participating in the Promotion entrants consent to Beasley Media contacting them by phone at the telephone number from which the mobile entry was received or as indicated by the entrant on the online entry form. Any and all fees arising out of the transmission of or receipt of a mobile call shall solely be the responsibility of the entrant. Message and data rates may apply per the entrant’s carrier. Beasley Media does not guarantee, and shall not be responsible for, the connection or timeliness of any such entries. with mobile entries. The mobile app entry method is designed to work with most iPhone, iPads, and Android tablets, and Android phones of the major wireless carriers in the United States, but the Promotion Entities make no guarantee that any particular wireless device or service provider will participate. Entrants should check their phone’s features to see if they have that capability. Entrants should consult their wireless service provider’s pricing plan for details. Entry by mobile app will not improve your chance of winning. By entering by the mobile app, each entrant consents to receive up to five (5) notification phone calls on their mobile phone if randomly selected as a potential winner. Further, by entering by the mobile app, entrants agree to accept all applicable charges associated therewith. share the same email address. Online entries submitted may not be acknowledged or returned. account holder is the natural person who is assigned to the text or mobiletelephone number by a telecommunications provider, or other organization that is responsible for assigning such numbers. By initiating a text message to the Station in this contest, you also expressly consent to the receipt of a reply message confirming your entry. Multiple participants are not permitted to share the same phone number. only one $1,000 cash prize winner per household is permitted during the Promotion Period. For this Promotion only, restrictions that would prevent a listener from winning if he/she had won another recent Beasley Media station contest or promotion will not apply. Use of any device to automate entry is prohibited. Proof of submission of an entry shall not be deemed proof of receipt by Beasley Media. Beasley Media’s computer is the official time keeping device for the Promotion. entries and that Contestant may be disqualified. such Contestant who was awarded the prize for such Entry Period will be excluded. Given the volume of participation, Contestants may experience an inability to access website to enter. awarded if properly claimed according to the Rules and if there are sufficient eligible entries. All other costs and expenses related to prize acceptance and use not specified herein as being provided are the sole responsibility of winner(s). If the winner is disqualified or is found to be ineligible for the contest, Beasley Media reserves the right to determine an alternate winner or not to award the prize, at its sole discretion. Each prize is either $1,000 cash or $10,000 cash (in the form of a check made payable to the prize winner upon confirmation of his/her eligibility). The Station may award up to one hundred (100) total $1,000 prizes and up to one (1) $10,000 grand prize for an approximate total retail value for the Promotion of $110,000. Each cash prize will be issued as a check payable to the order of the prize winner upon verification of eligibility and upon timely receipt of all completed prize winner paperwork. Checks will be processed and mailed within four to eight weeks upon verification of eligibility and receipt of all completed prize winner paperwork. All taxes, including but not limited to, federal, state, and local taxes, and any other costs and expenses associated with the acceptance and use of a prize are solely the responsibility of the winner. The prize winners will each be issued an IRS Form 1099 for the value of their respective prize(s). as a $1,000 cash prize winner depend on the combined number of entries received from all markets. 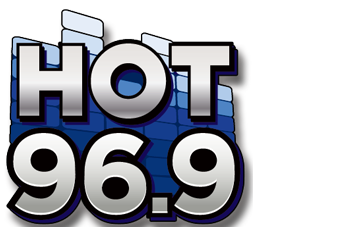 from approximately forty-five (45) radio stations in multiple radio markets across the United States during all combined Entry Periods in the Promotion. Odds of being selected as the $10,000 cash prize winner depend on the number of eligible mobile app and online entries received from approximately forty-five (45) radio stations in multiple radio markets across the United States during all combined Entry Periods in the Promotion. potential winner forfeits the prize. discretion. Entries not complying with all rules are subject to disqualification. be reported to the IRS. publicity rights, defamation, or invasion of privacy and prize delivery. disasters, weather, acts of terrorism, or other factors beyond the Released Parties’ control. Media’s belief that the contestant was abusing or tampering with the Promotion entry process in any manner or due to any technical malfunction of the telephone or network transmission line or any entries that are late, delayed, garbled, incomplete, misdirected, lost, corrupted or otherwise not in compliance with the rules or applicable law. services or location necessitated by same. the Beasley Media’s Privacy Statement for U.S. Consumers, http://bbgi.com/privacypolicy. available during regular business hours at the main studio of any of the participating stations. Group, 3033 Riviera Drive, Suite 200, Naples, FL 34103.